Important update: BurgaBox delivery service is unavailable at the moment. You can leave your email on the company’s website and receive a notification when the service relaunches or check back here for fresh updates. BurgaBox came to life when 3 guys who made awesome burgers discovered how much people loved meal kits. 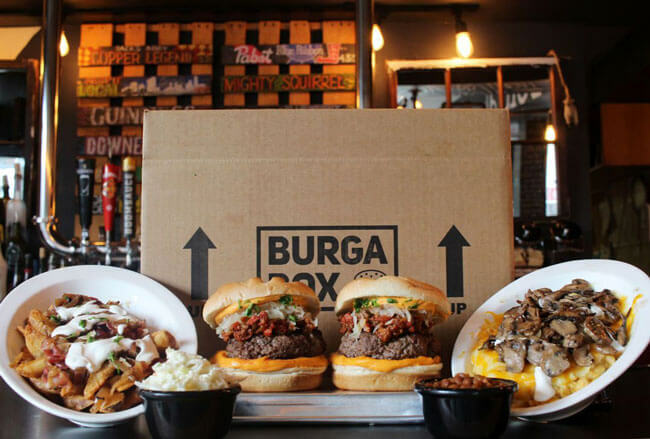 Thus, they decided to put special burger ingredients in a box, along with delicious sides, and make their burger boxes available to burgalovers across the country. Rachel Ray loved them, Guy Fieri described their Mac Attack as “pretty gangster,” and now it is time for us to share our impressions in this honest BurgaBox review. BurgaBox is a subscription service that allows you to try majestic, out-of-this-world, original burgers that cannot be found on any menu right in the comfort of your own home. The boxes are shipped every month. You get all the ingredients, including patties, rubs, sauces, and all the extras, plus 4 different sides, and you get to build your own mouthwatering burger. There is no prep involved, as the BurgaBox team does everything for you. All you need to do is decide whether you want to get burgers and sides for 2 or 4 people, wait for the box to arrive, and get straight to cooking and reheating the sides. By becoming a member of the BurgaBox Of The Month Club, you get to discover a new burger variety every month. If you suddenly stop craving super-special, one-of-a-kind burgers, you can unsubscribe just as easily, as the subscription comes with no strings attached. Keep in mind, though, that if you pick a multi-month subscription, you need to wait until the end of the subscription period and cancel once you have tasted all the delicious burgers included in your subscription. 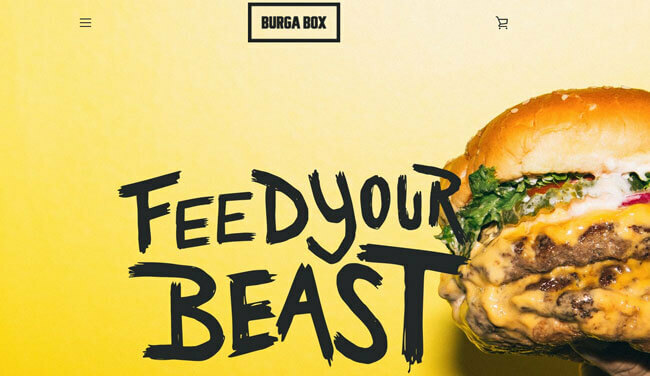 BurgaBox does not sell fancy burgers, veggie burgers or algae burgers. It brings you unique burgers with soul, plenty of juicy meat, super-special, top-secret sauces, and plenty of additional ingredients that make them unlike any other burger you have ever tasted. The guys behind BurgaBox love their burgers and invest great efforts into making them as creative, unique, and delicious as they can be. Therefore, unlike the burgers you can get at just any joint, the burgers you receive from BurgaBox are made by people who are crazy in love with what they do, have the skills and imagination necessary to make something extraordinary, and enjoy spreading burgajoy across America. 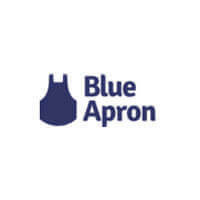 This service shows how much it appreciates its customers by offering a 100% happiness guarantee and a great loyalty program that allows you to save as you spend. For every dollar you spend on its awesome burgers, you get 1 BurgaPoint. For every 100 BurgaPoints you collect, you get a $1 credit. BurgaBox makes for an amazing gift. You can choose between personal gifts in the form of gift cards worth $25, $50, $75 or $100 and corporate gifts that are much cooler than a fruit basket and sure to be loved by people you do business with. Previously in this BurgaBox review, we told you what kind of ingredients you get to make your burgers – beef patties, special rubs, secret sauces, and magical, always-different extras. Now, let us move on to the sides. We said that there are 4 sides per burger. First, you get 16 oz. of special fries. They are special because they contain good ol’ fries and a bunch of toppings that make them special. Next, you get 16 oz. of gourmet mac & cheese that come with delicious and sometimes quite extraordinary toppings as well. The remaining two sides include hearty baked beans and refreshing coleslaw. It takes about half an hour from the moment you open the box until the moment your food is ready. You start by getting the secret spice rub all over your patty. Then, you start cooking by following the simple instructions that you get in your box. You assemble your burger and reheat the sides. That is it – you have got a perfect burger and 4 sides on your table, just waiting to impress you. The standard price of the BurgaBox Of The Month subscription is $99 per month. However, it is often on sale, so you can get it at nearly half the price. If you want to double the fun and get BurgaBox Of The Month For Four, you pay $125 or as little as $75 if you stop by at the right time and make use of the company’s generous discount. Another way to save cash is by opting for a longer subscription. 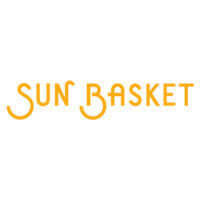 Now, as per add-ons, you can find them at the BurgaBox shop. If you need some extra Regular Secret Spice Rub, you can get 1 packet for $1.95, 3 packets for $5.95, 5 packets for $8.95 or 10 packets for $14.95. If you really love the BurgaBox mac & cheese, you can get the Ultimate Mac & Cheese Sample pack for $100 or less if you have perfect timing. Shipping is free of charge regardless of the location. The great news is that Burgabox ships nationwide, so you can enjoy its burgers no matter where you live in the US. The orders are shipped between Monday and Wednesday and the typical shipping time is around 2 days. You do not have to be at home to receive the box. Thanks to the state-of-the-art insulated cooler packaging system used to ship your food, there is little to no chance that it will lose its freshness or that something bad will happen to it during transport. However, in case there is anything wrong, there is no reason to worry because you are covered by the BurgaBox 100% happiness guarantee. To make sure BurgaBox meets all your standards and expectations, it is important to know its biggest advantages and disadvantages. With a short overview of its pros and cons, you can easily decide if BurgaBox is the right meal kit service for you. There is no doubt that BurgaBox is a premium choice for people who love good burgers. Special sauces and rubs, different burgers every month, classic yet creative sides, it is all as perfect as it sounds. Plus, you get free shipping no matter where you live and if you are not satisfied, you get your money back as you are covered by the 100% happiness guarantee. The prices are not exactly low, but after a couple of serious rounds of tasting, we can honestly say that they are worth it. If you are a burgalover, you do not want to miss out on what BurgaBox is offering. Our ratings are the result of an objective and independent evaluation of BurgaBox, generating the final rating that reflects the overall quality of the company. Ratings may change as the service changes. BurgaBox customer rating based on 5 customer reviews. I orders a three month subscription and only received one. I have tried to contact burgabox for a refund and get no response. Definitely a must-try if you love burgers. I have tried tons of great burgers across the country, but burgabox takes the cake! I know that I’m not paying just for the food but for all the creativeness and hard work, the burgers really are different, richer, and insanely delicious, but I still think that they should charge less, it is too much for many guys who would love to try the burgers. Can’t believe how good the burgers are! This is our second box and we can’t wait for the third one. These guys really know how to make a good burger and everything else tastes awesome too. 10 out of 5 if you ask me. We found 0 verified BurgaBox discounts for April, 2019. There are no BurgaBox coupons or discounts right now.